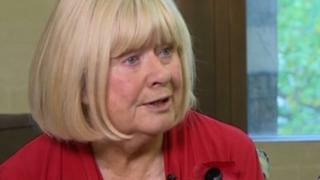 A veteran MP has said she still has no regrets about her support for the second Iraq war. Ann Clwyd, who has been Labour MP for Cynon Valley for 33 years, said her argument in favour of action was about human rights rather than weapons of mass destruction. She added her frequent visits to Iraq made her fear for her safety. Ms Clwyd was speaking to BBC Radio Wales ahead of the publication of her autobiography, Rebel With a Cause. "Some of my best friends in the House of Commons were on the left of the Labour Party and they were opposed to the war but yet they followed my argument that for me it was about human rights," she told Sunday Supplement. She said her three decades in Parliament had been dominated by human rights issues, especially those in support of Kurds in Iraq. "I absolutely knew nothing at all about those [weapons of mass destruction]," she said. "I was there in February 2003 just before the start of the war and for the first time ever the Kurds said to me there's no other way - meaning that they needed outside help. "We helped them re-build civic society, trained them to stand in elections. I went to the first election they had after Saddam and I know what we did and the Americans did as well to try and re-build the Iraqi society." She said she flew to Iraq about 25 times after the war. "We didn't know quite when the flights were leaving Kuwait," added Ms Clwyd. "We had to be ready to go and fly in the dark and then they had to manoeuvre the plane quite often because there were ground to surface missiles being used and we knew that some of the manoeuvres were to avoid what they thought was danger on the ground. "There were a few occasions like that which you know were frightening, but I suppose I've always been keen on adventure." Ms Clwyd, who criticises Labour leader Jeremy Corbyn, also said she did not regret changing her mind about standing for re-election in 2015 after previously saying she would stand down. She added Mr Corbyn still deserved loyalty. "I chaired the Parliamentary party and I know there were always an element that want to get rid of the party leader, and I can't tell you how many times that has happened while I actually was in the chair," she said. "That person is elected as party leader and we have to back that person... Jeremy Corbyn is the leader, and he has to have our loyalty."